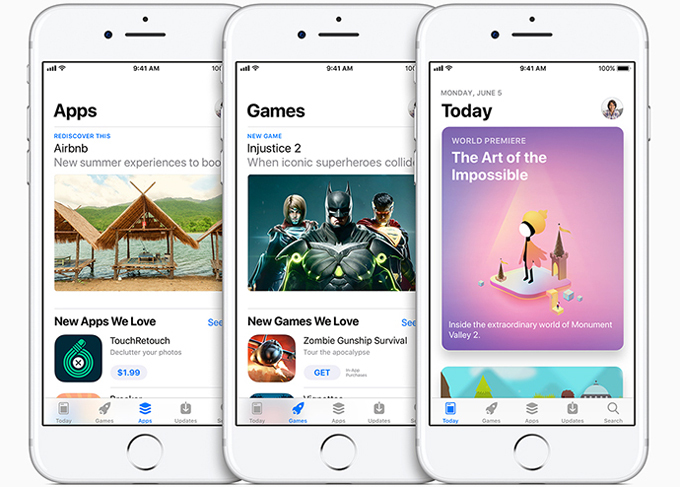 A few months ago, Apple launched their latest operating system for iPhone and iPad – iOS 11. 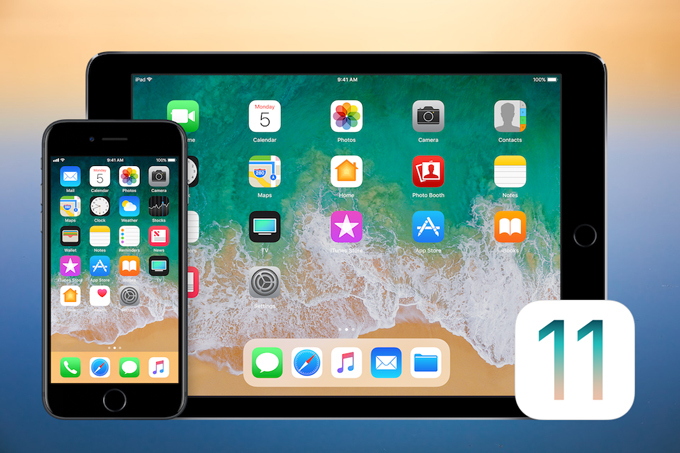 Unlike its successor iOS 10, this iOS 11 offers new features that can definitely improve the overall performance of your iOS device. Modern technologies are Integrated on its like wireless charging, Face ID recognition, and the very popular augmented reality. Furthermore, there are hidden features of iOS 11 that are not announced by Apple and wait to be discovered. Here we list 15 features that you will surely love. One of the most remarkable changes made in iOS 11 is its Control Center. The latest update brings a full-page panel which tucks all your controls in one place. Unlike the older version which takes up only half of your screen, this offers more access to other functions since you can put different controls as you want. 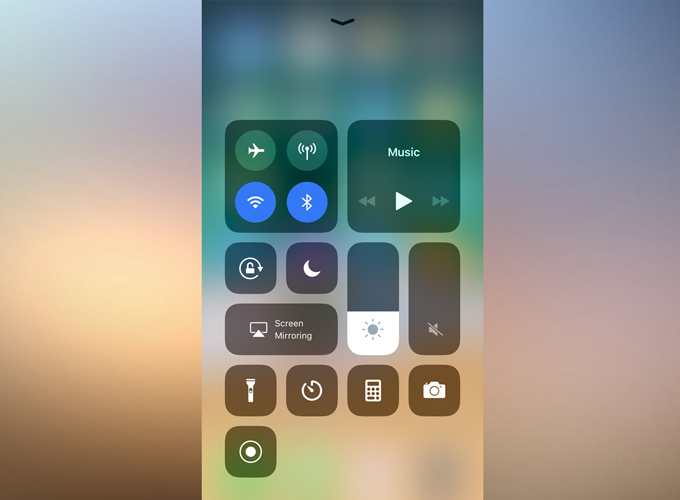 Moreover, rather than swiping left or right, you can quickly access other shortcuts by pressing on the existing icons from the Control Center. Additionally, it has a 3D touch support that enables some features like AirDrop and Night Shift to turn on. Apart from the design, the Control Center is now customizable. You can go to settings and select what icons should be available for quick access. You may add all of them or choose features you often use. For example, you want to put apps like Alarm, Magnifier, Notes, and Stopwatch. 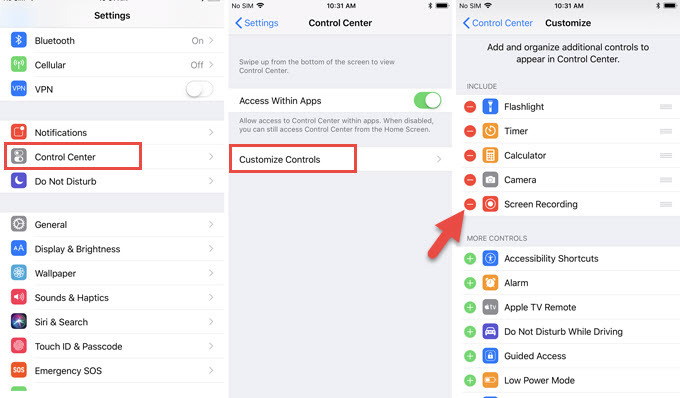 To start customizing, just go to your Settings > Control Center > Customize Controls and from there, hit the plus icon of whatever tool you like to add. 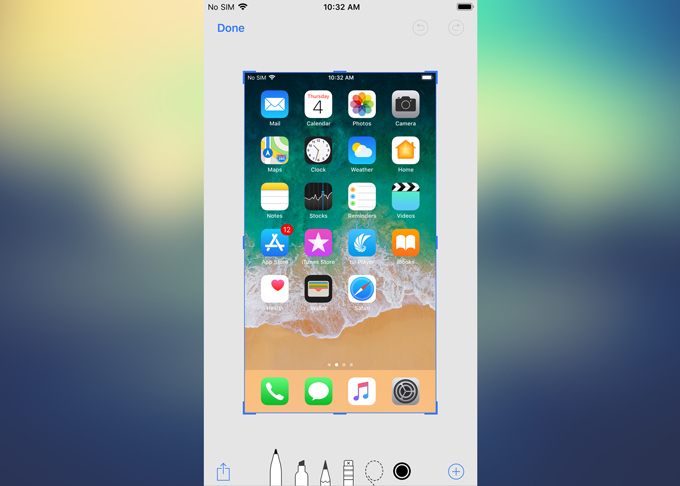 The next iOS 11 hidden feature which increases the productivity of iPhone/iPad is the screenshot editor. Before, Apple devices directly store your screenshot to your gallery, but with the new iOS 11, you’ll be given the option to edit it. Once you snap on your screen, a thumbnail will appear in the left corner of your screen. If you tap on it, you can crop, annotate, add speech bubbles and other figures, or open the image using other applications. We all know how difficult it is to search for a recording application that will work properly on iOS. Thankfully, upgrading your device will give you a tool which you can use for free. 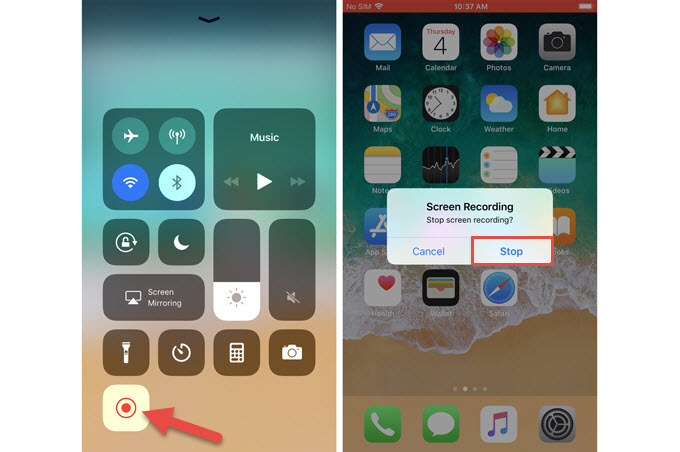 The iOS 11 screen recording function is capable of capturing your screen performance without limitations or watermarks. However, this recorder will only have your microphone sound included in the video and not the sound coming from your phone. The One-Handed Keyboard is one of the excellent iOS 11 hidden features for iPad and iPhone. With it, you have the option to make your keyboard ideal for one-hand typing. 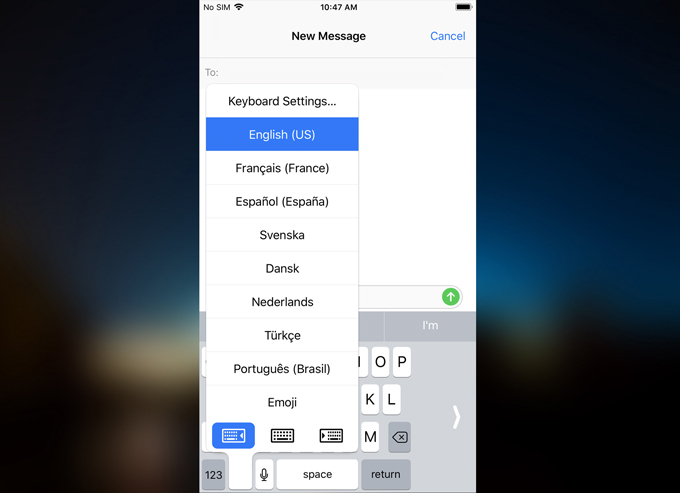 On the regular keyboard, touch and hold the globe icon in the bottom left corner of your screen. From there, you can shift the keyboard to the right or left side. To return to the full-size setting, just tap on the white arrow from the blank gray area. Apple also includes some additional feature on the iMessage app. 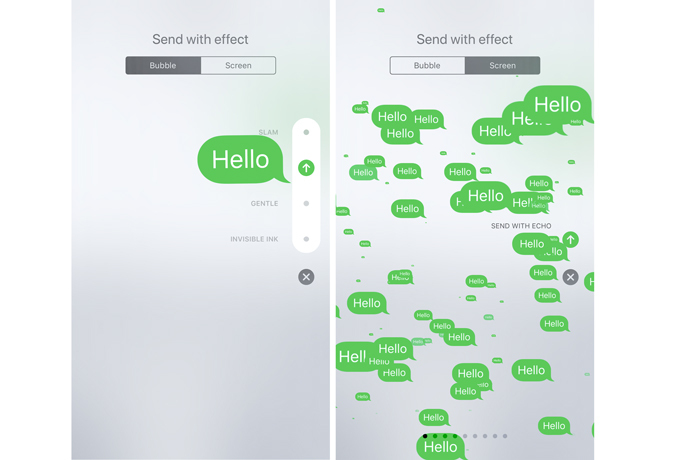 Once you send a message to your friends, you can add two new effects namely Spotlight and Echo. The first one puts emphasis on your text by placing a large spotlight over it. Meanwhile, the Echo effect reproduces your message throughout your screen and echoes the text tone on the receiver’s end. If you want to try this, proceed to iMessage and type any words. Long-press the “Send” button then select “Screen” from the available options. The first effect is the Echo and when you swipe from the right, you can apply the Spotlight. There are also other screen effects which you can utilize aside from these two. 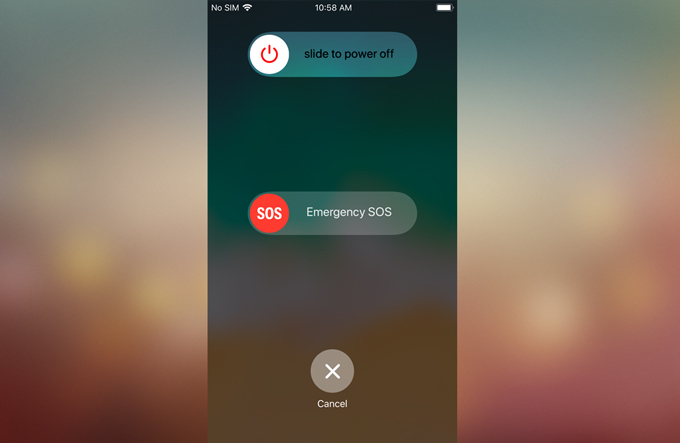 Aside from those listed above, the Emergency SOS is also one of the great iOS 11 hidden features for iPhone that provides an easier way to send emergency SOS in face of danger. This feature can be activated once you press the Power button on your iPhone/iPad five times in a row. Your phone will automatically call emergency services and notify your emergency contacts of your situation and location. It also disables your Touch ID so that suspicious person won’t have access to your data. For those who regularly use their phone whilst driving, this feature is perfect for you. 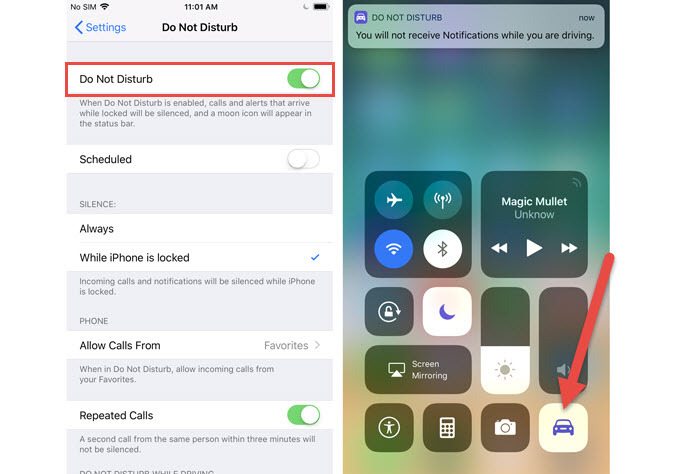 The “Do Not Disturb While Driving” function mutes all incoming notifications from any applications installed on your device. This prevents you from looking at your phone from time to time when you’re driving. It also responds to your messages which alerts your contacts that you’re driving. The advantage of this is you can automatically set it which is very useful if you forget to turn on the feature. Being one of the new features in iOS 11, QR Code Scanner in Camera allows you to scan any QR codes without the help of third-party applications. Using your phone’s Camera, you can capture the code you want to scan and all the encrypted data will be displayed immediately. To enable this feature, go to “Settings” > “Camera” then toggle “Scan QR Codes” on. Due to the limited memory and unexpandable storage that the iPhone and iPad offer, Apple now introduces a new format of image HEIF/HEVC, also called HEIC. It is a new file compression that stores media files on small sizes while preserving the original high quality. 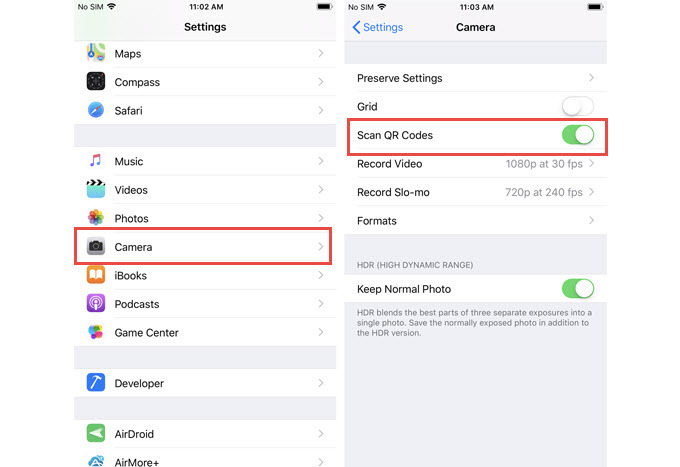 Now, every time you take pictures or shot videos, you can choose to save the files in HEIC format. The problem, however, lies on the incompatibility issue of this. Since it has unique settings, you need to convert your files or use a different photo viewer to view HEIC on PC. Live Photos are even more fantastic with some additional features the iOS 11 presents. 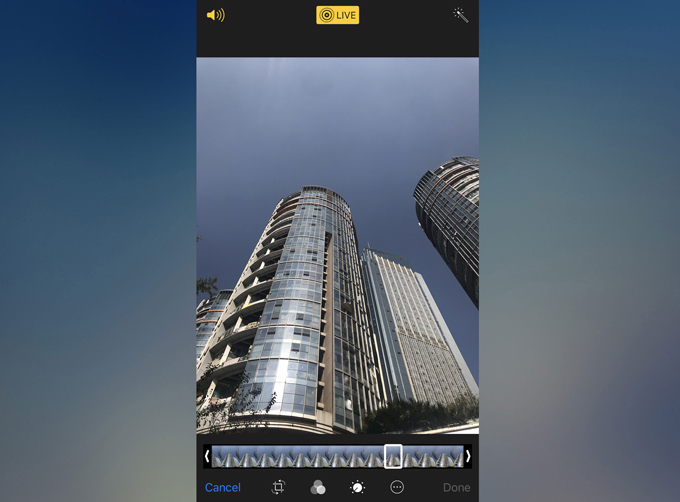 Normally, when you press the shutter button with the Live Photo mode on, the photo captured on the last second will be saved as the final still image. This new feature in iOS 11 will allow one to adjust the keyframe in case you missed the shot you wanted. Besides, you can edit the short video to remove other parts you don’t like to include. Plus, apply other effects like loop, bounce, and long exposure. One more thing that they improved iOS 11 is the App Store. The interface looks like the Music app on your iPhone/iPad with a bold letter text and emphasis on image. Games and apps are categorized into separate tabs making it easier to classify what can be played and what is not. It is also simpler to view the ratings and reviews for certain application, check your purchases, and watch previews. Further, you may read articles from the App Store, containing write-ups, screenshots, animations, videos, and quotations. The display is also overhauled along with the release of this new operating system. While iOS 10 has the setting to invert colors on your device, iOS 11 has a smarter invent option. This keeps your device in dark mode leaving other elements like photos and videos on its original arrangement. 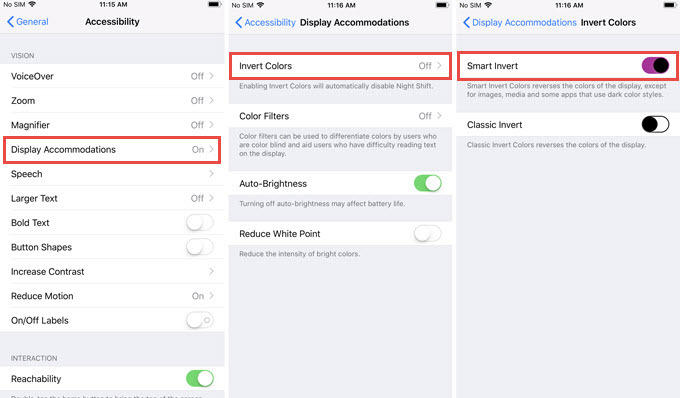 To check this feature, navigate to your “Settings” > “General” > “Accessibility” > “Display Accommodations” > “Invert Colors” and turn on “Smart Invert”. 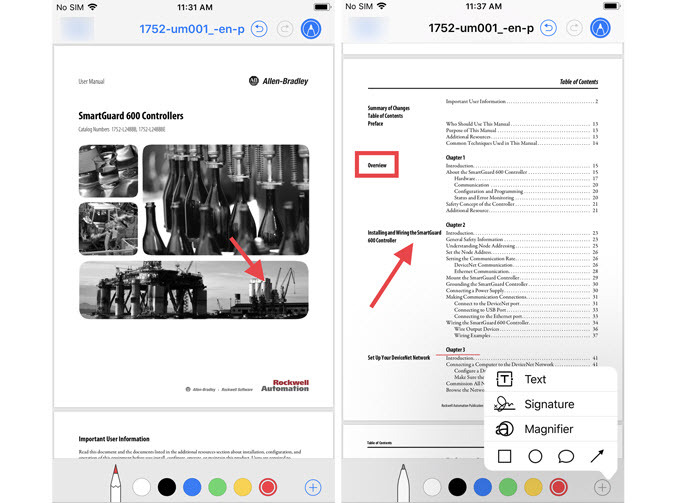 Another noteworthy feature of iOS 11 is the ability to create and markup PDF files. With this feature, you can create PDF from websites and put markings on right away. This is a big help as you won’t need any extra application if you want to convert a page into a document file. For markups, you may add a text of different font style, put signature using various pens, insert shapes, and use the magnifier. Last iOS 11 hidden feature for iPad and iPhone on the list is the Indoor Mapping. Have you experienced being lost inside a mall or any big establishment? If yes, then it’s time to get yourself this latest system. It has maps of selected malls and airports all around the globe. You can see the location of the elevator, eatery, comfort rooms, shops, and other landmarks. This will help easily locate stalls especially when you’re unfamiliar with the place. These are just some of the new functions which the iOS 11 can offer. There are still other iOS 11 hidden features not mentioned here but all the aforementioned greatly help iOS users. The question now is what’s the next plan of Apple for its next release. No matter what, many are still anticipating for the next update.